As A Professional Art Work Supplier, We Are Dedicated To Bringing Customers The Best Selection Of Canvas Wall Art In The World. For Photo To Canvas Prints, Combined With Our Framing, Make It Simple And Safe For Customers To Find A Perfect Paintings Wall Decorations For Living Room, Bedroom, Kitchen, Office, Hotel, Dining Room, Office, Bathroom, Bar. Size:24*34 cm / 10*14 inch, can be used as a frame. HIGH QUALITY:HD giclee print on high qulity painting canvas ,clear gallery-quality acrylic plastic glazing and rigid cardboard backing in High Density Fiberboard wooden frame. ATTRATIVE DECORATION:White frame add elegant and concise appearance to the whole wall.A great choice for home living room bedroom kitchen dining room bathroom bar hotel restaurant office wall decoration.Perfect Christmas and New Year gifts for your relatives and friends. PROTECTIVE PACKAGING:Order with confidence,extremely carefully wrapped and packaged in Foam cotton cover to avoid damage in transit. 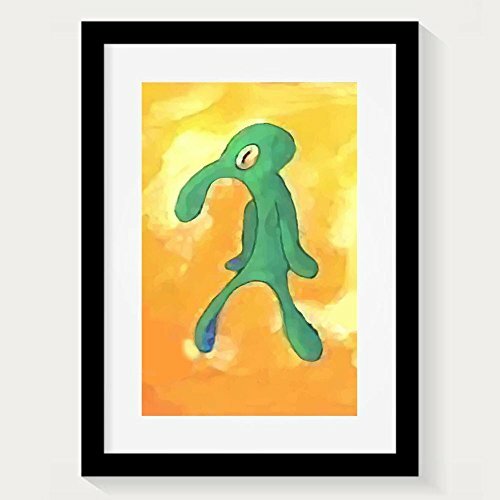 If you have any questions about this product by Bold And Brash, contact us by completing and submitting the form below. If you are looking for a specif part number, please include it with your message.